How is a great barn designed? Workable Design makes a great barn. A workable design ensures smooth operation of all daily tasks. A workable design means flexibility. Workable design means that everything has a place. Workable design generates elements of surprise. 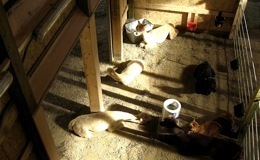 they feel free to live as naturally as possible. 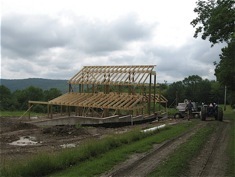 All alpaca people enjoy looking at our alpacas in the field, but a well-designed barn can be part of the view, too. The barn that is just a utility structure is one that we visually ignore. 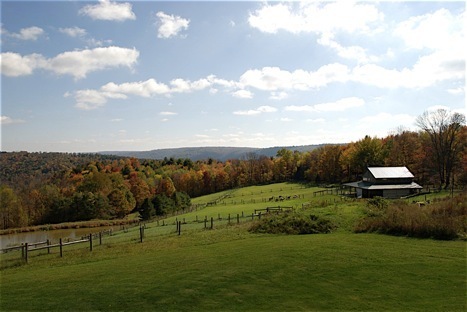 Neil Johnson, a registered architect with built designs all over the USA, is happy to discuss any aspect of your barn, fencing and pasture planning, Contact him at neil@mvmalpacas.com. 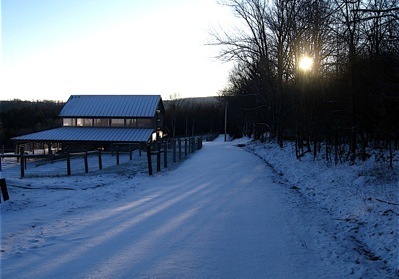 1.Early morning winter walks to the barn are an inspiring way to start each day. A good architect can envision how the completed framework becomes more than just a utility structure: it enhances the site. 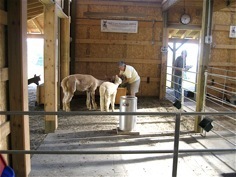 2.The bright, sunlit barn interior is a welcoming, healthy space for both humans and alpacas. 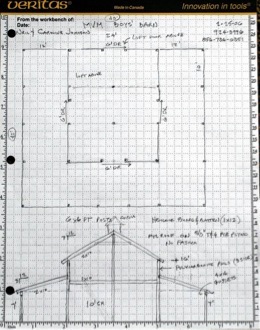 3.Every good barn design begins with a plan. 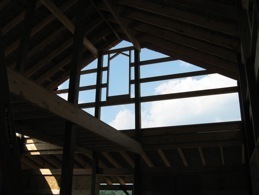 4.As the barn is built, the structure reveals special design qualities. 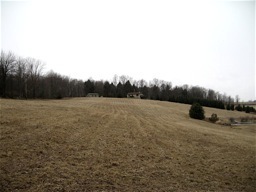 5.Before we started to plan our layout, we took a thorough look at our site which was open pasture land. 6.Make a drawing of the site, place your barn, then place your pastures with fencing, and then rethink, revise, rethink, and revise again until it’s exactly what you want. Always remember the path of the sun in all seasons. 7.A well-planned barn will make everyday use a pleasure. No two barns are alike, but a great barn must have a workable design.